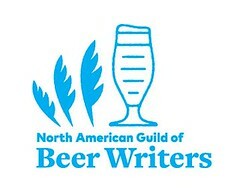 Beer Blogging Friday. The Session #85: Why do I drink? For March 2014, Douglas Smiley —at the blog Baltimore Bistros & Beer— hosted the 85th iteration of The Session. His topic was "Why Do You Drink?" Let's take the opportunity as a group to tell people why we do drink and how it improves our life for the better. I know the default answer a lot of us fall back on is "it's nice to sit back with a good beer after a stressful day of work", and while that's true, I'm looking for answers that aren't so obvious to people who aren't fans of our hobby. Beer is bigger than a liquid "chill pill" or we wouldn't have gone about setting up a blog and dedicating so much of our time discussing it. So, what is it that compels you to drink and what would your life be missing if beer was no longer an option for you? Why do I drink, or you? That's a question so intrinsically human that its object, left unstated, is understood. Why do I drink ... beer (and other alcoholic beverages)? That's a question so simple, yet whose answer is too often recondite with post hoc reasons, or overwrought with paens and passion. I have a love affair with beer: not simply with beer's flavors —as delicious, complex, and varied as they may be— but with its history, science, lore, and evolving creation. 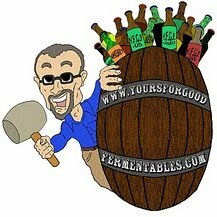 —The mission statement of this blog, Yours For Good Fermentables. Refreshment? Yes. But so has water, and it, not beer (despite protestations) is essential to all earthly life. Yes, beer (and alcohol in general) is healthfully beneficial. "Take two beers and see me in the morning." That's a physician's script not scribbled since Prohibition, but most folk don't drink beer for medicinal purposes. Yes, beer, and other alcoholic beverages, are sometimes called social lubricants of fellowship. Beer's public dispensary, the pub, is a 'third place,' a communal gathering place, in pecking order after the worship-place and the work-place. But one can find fellowship in many places, in many groups, with many hobbies, for many causes. Do I drink because there is a tavern in the town? No, but, unlike at those last two places, at the pub, imbibing is encouraged. Musing big, I can imagine a kinship with all of humanity when I drink a beer: human history, and the beginnings of civilization itself, are intertwined with the discovery and lust for alcohol. Those may be reasons archaeological, but they fail as bibulous primum mobile. And, ah, a brewer's palpable pride and joy after creating a sparkling glass of beer. Even with modern scientific comprehension, brewing beer can still appear as a magical alchemy of yeast and enzymes. Yet, that's not the answer, although hinting at one. So, why do I drink? Every lunchtime he would walk all the way across St Albans, passing a dozen of pubs or more, to the one house in the city that sold the Bedford bitter. As he entered the public bar he would raise his finger and Ken the landlord would reach for a pint glass and fill it as David walked to the counter. He looked at the pint for a moment or two, waiting for the beer to settle and the head to form. Then he would reach for the glass and fleetingly hold it up to the light, savouring the crystal clarity and tawny colour of the beer. Then, and only then, would he put the glass to his lips and despatch a good third of its contents. A great explosion of pleasure, a long orgasmic 'Aaaagh! ', accompanied the return of the glass to the bar. So, again: Why do I drink beer? I drink beer because I like how it tastes; I like how it makes me feel. Gustation and psychotropics. Pleasure. That, just that, is why I drink beer. All else is froth. Thank you to Mr. Smiley —a neighbor just to the north in Baltimore, Maryland— for asking this question. Here's his summary of all posts submitted. This post has been edited slightly since first posted.